This weekend I crossed the border into Mexico for a weekend mission’s trip, helping a church plant paint their new church. Things are not great in Mexico right now, with the drug wars, kidnappings, and murders, but when you go where God leads and do the work He calls you to do, you also have to put yourself in His hands and trust that live or die, He’s in control. Everything went fine though. I saw some soldiers patrolling but that was about it, until the ride back. While we waited in line on the bridge, we saw a group of young men swim across the Rio Grande to the U.S. They crawled out of the water and scurried over to and under the fence, looking all around to make sure no one could see them, which was somewhat funny since they were in full view of hundreds of people on the bridge who were all pointing at them and talking animatedly. We guessed that they got spooked or were drug couriers because they came running back without the bags they were carrying and swam back across the river to Mexico. There’s a lot of debate going on in the U.S. about illegal immigration, and watching the scene unfold below me didn’t really sway me one way or the other, but it did get me thinking about another kind of immigration. 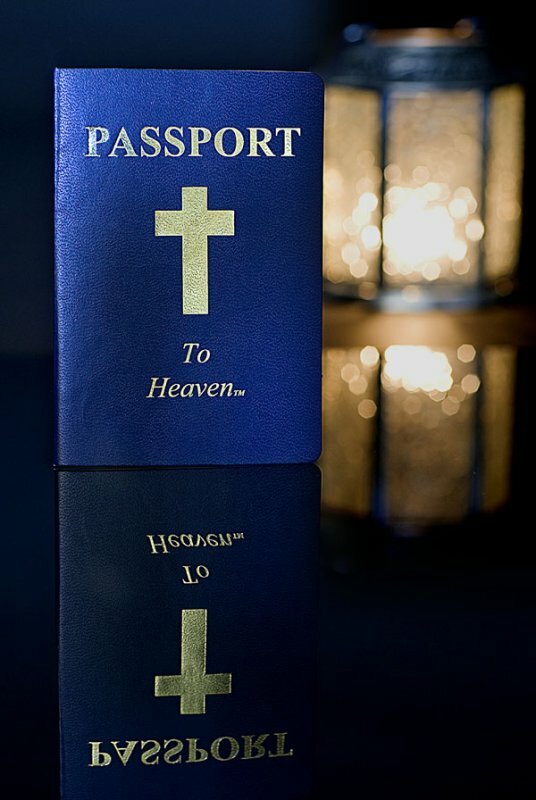 As Christians, we’re immigrating to a new country in eternity because as soon as we believe on and follow Christ we’re naturalized as heavenly citizens. But our heavenly homeland doesn’t have illegal immigration. No one can just swim across the clouds and slip under the pearly gates. No one can apply for a visa or vacation there and then leave. You’re either a citizen or your not, and if you’re not, there’s no hope for gaining access. Naturalization as a heavenly citizen starts and ends with Jesus. And He ask that we repent Matthew 4:17, stop sinning (John 8:11), and follow Him by loving God with everything we have and loving others as ourselves (Matthew 22:37). Therefore, as a citizen of heaven and an ambassador for Christ, I beg you on behalf of Christ, be reconciled to God. He made Jesus who knew no sin to be sin on our behalf, so that we might become the righteousness of God in Him. Great thoughts! I have never thought about Christianity from an 'immigration' standpoint.